Join us in supporting Saint Katherine College, the only independent Orthodox Christian College of Liberal Arts and Sciences. 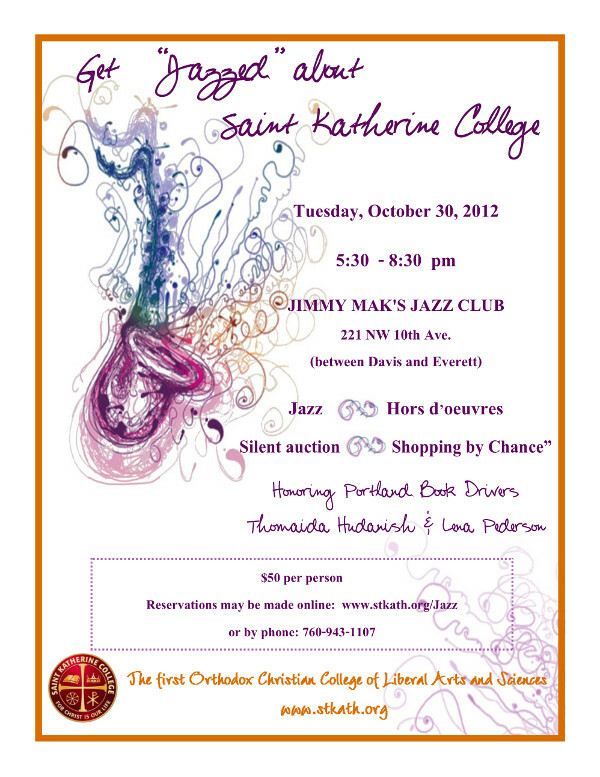 Meet its Founder and President, help them honor their "Book Drivers,", and Get "Jazzed" about Saint Katherine College! This entry was posted in fundraisers, music and tagged St. Katherine College. Bookmark the permalink.